If you think you could only turn to your favourite Kentucky’s Fried Chicken when you wanted to dig into some freshly oven-baked/grilled/roasted/fried chicken, then you probably haven’t come across its social media team, yet. Well, in that case, you should know that KFC happens to have an extremely brilliant Twitter handling team, which has taken ‘pun-of course intended’ to a whole new level. Long story short, their Twitter handle, with about 1.23 million followers the last we checked, happens to follow just 11 Twitter users. And these are the five Spice Girls and six men named Herb. You heard us! 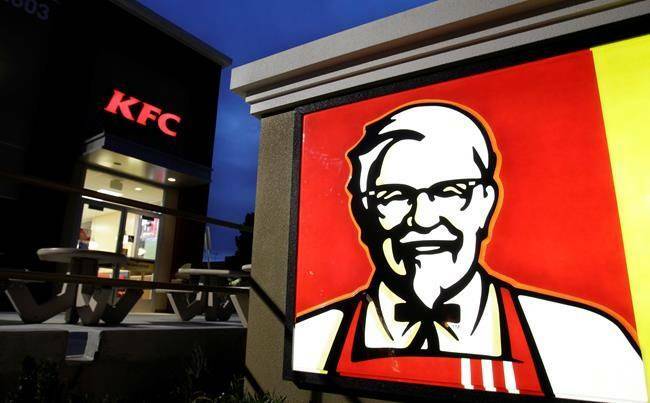 While KFC has always maintained how its original recipe contains 11 herbs and spices, when some Twitter users noticed how the fast-food chain meant it for real, the Internet was, safe to say, SHOOK! Also, many Twitter users took this as an opportunity to take out their Sherlock Holmes pipes and wonder (tweet) out loud how this was also a clever giveaway by KFC. While the American fast food restaurant chain has been vocal about how they use 11 herbs and spices, this one move revealed how the recipe most probably had five spices and six herbs. Geddit?! 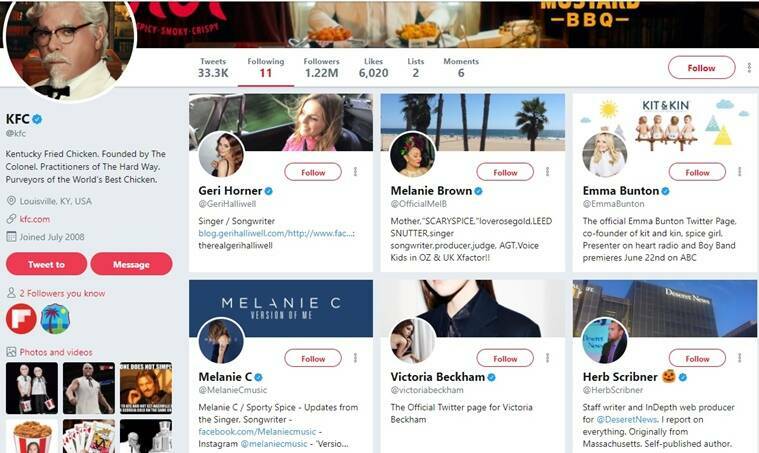 Now with KFC following the five spice girls — Melanie Chisholm, Victoria Beckham, Geri Halliwell, Melanie Brown and Emma Bunton and the six ‘Herbs’ — Herb Scribner, Herb J. Wesson Jr., Herb Waters, Herb Dean, Herb Sendek and Herb Alpert, this is what Twitterati had to say. Be the first to comment on "KFC followed 11 ‘Herbs and Spices’ on Twitter and it became the best pun on the Internet"